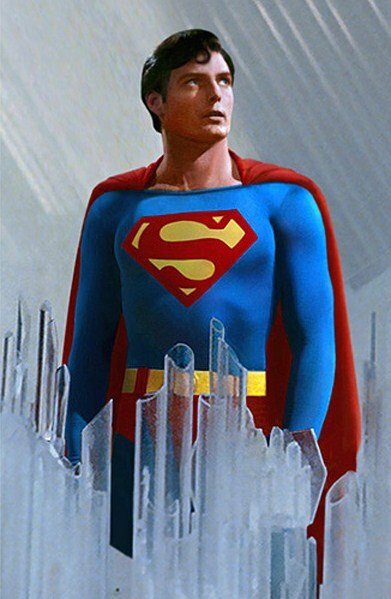 The Power of Fictional Role Models – Make It So! I have this somewhat vague memory in my head from I think 1st or 2nd grade, where we were supposed to write down who one of our favorite role models was, and why. Then we were to stand up and tell the class what we wrote down. And everyone laughed. It was heartbreaking. So I sat down, and I listened to the rest, wondering why they laughed. I noticed that no one else presented fictional characters. They all gave real people, either family members or historical figures. 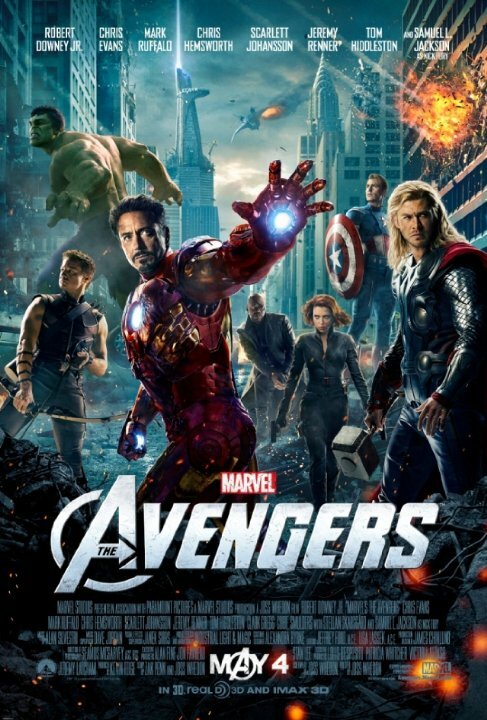 For a long time after that, I had it in my head that it was wrong to look up to ‘fictional characters’ as role models. I stopped admitting that to anyone for a long time. I don’t remember when I realized it, but one day I came to the conclusion that there is nothing wrong with looking up to a fictional character as a role model. Are they real? Perhaps not. Yet characters exist in our hearts just the same as real people do. And they can make exceptional role models. Certainly this is not to downplay the power of people in our every day lives, as we grow up, turn into adults, and even for the rest of our lives. As I noted in my first novel, my parents are very much the reason I am the good man I am today. But they weren’t alone. They weren’t the only people to shape who and what I was to become. 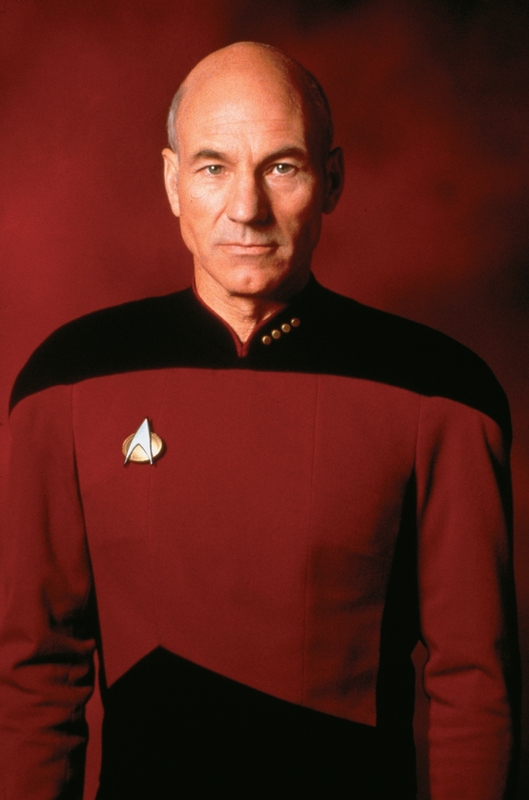 For those who know me in person, I doubt it comes as any surprise that one of the greatest influences in my life has been Captain Jean-Luc Picard from Star Trek The Next Generation. I grew up with TNG, literally. As a kid, I never got to watch TNG every week, but the older I got, the more I tried to watch it. There are definitely interesting parallels in my life, in who I am. And yet…there are definite differences. I love reading and literature in general, as Picard did. Yet I can’t stand Shakespeare. I’ve been in several leadership roles throughout my career and I do well in them, but I am not the kind of leader who keeps myself removed, distant. I don’t have or want children, but unlike Picard, I love kids and am great with them! I also often wonder if I’ll end up perpetually single as he was, as I continue struggle to find someone to complement my life. But I never had a wild-streak when I was a teenager. I’ll also never forget how Picard always stood up for the rights of others, the freedoms of others. 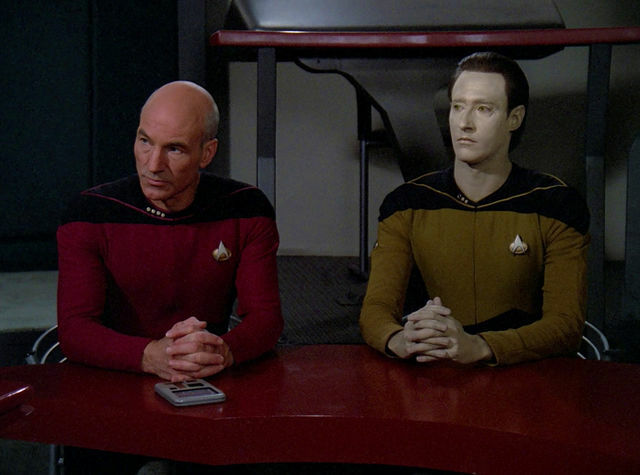 The best example I always think of was when Data’s rights as a sentient, self-determining individual were put into question, and Picard defended those rights with such incredible passion! The same for when a half-human, half-Romulan crew member was accused of espionage. Plus there is Picard’s love of art, music, literature, archeology, history… The intrinsic importance of each of these in every person’s life has stayed with me, and I wonder just how much my appreciation for them stems from seeing the importance he placed on them. And for each writer out there, whether a novel writer or a script writer, we have the power to influence the minds of many. For some, our exposure to the world is limited (at least, right now.) But at any moment, that novel or short story or screenplay you wrote could explode in popularity, and all of the characters could become a part of our very culture. So please, be careful. You never know the impact your protagonist could have on an individual’s life. Not to say we don’t want to put flaws in our characters. We all have flaws, ALL of us. And a flawless character is boring to write and read. But how you present that flaw, how the character deals with it, the impact it has on the world and the characters around them…that makes all the difference. Previous PostTSoD – The First Short Story is Finished!Next PostVtW Gamefest – Geeks Know How to Party!